CyberQual is an Italian distributor of test objects (aka phantoms) from Leeds Test Objects Ltd and the developer of their software for automatic analysis of many of their phantom images (see AutoPIA). In order to place an order or request a quote just write an email to leedstestobjects. 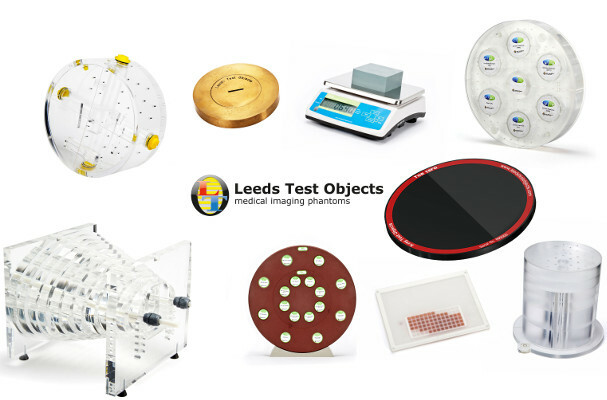 Leeds Test Objects Ltd is one of most well-known manufacturers of test objects for medical X-ray equipments. Based in Boroughbridge, North Yorkshire in England, Leeds Test Object provides a wide range of test objects mostly regarding X-ray imaging techniques such as fluoroscopy, digital radiography, mammography, dental radiography and computed tomography (CT) although Leeds Test Objects phantoms also exist for some aspects of radiotherapy quality assurance and for other techniques such as MRI. Phantoms manufactured by Leeds Test Objects have become widely renowned as a clinical standard for establishing the correct operating performance of X-ray equipments. In 1973 they were adopted for clinical use by the U.K. Health Service (NHS) and as a testing protocol by the U.K. Hospital Physicists' Association (I.P.E.M.) in 1979.